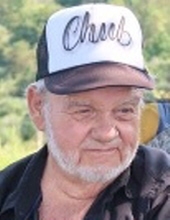 Russell Conley “Chub” Chapman age 81 of Pikeville, Ky., died Friday September 7, 2018 at the Pikeville Medical Center. He was born at Kimper June 4, 1937, the son of the late Elcana and Fern Deskins Chapman. He worked as a school bus driver, factory worker in Chicago, IL, coal truck driver, heavy equipment operator, UMWA miner and the owner of R & D Trucking and was of the Primitive Baptist Church. He was preceded in death by eight brothers: Otto Chapman, E.C. Chapman, Jr., Tony Chapman, Ray Chapman, Bill Chapman, Ivan Chapman, Curley Chapman, Leura Varney and one sister: June Sparks. He is survived by his wife: Deane Mullins Chapman, three sons: Keith (Diane) Wolford of Pikeville, KY, Randy Chapman of Chicago, IL, and Russell “Rusty” (Brenda) Chapman of Knoxville, TN and one daughter: Debra Rife of Pikeville, KY. Four brothers: Jack Chapman, Fon Chapman, Cleo Chapman of Kimper,KY and Roger Chapman of Greasy Creek, KY; two sisters: Geneivene McMann and Magalene Burress of Michigan, ten grandchildren, nine great grandchildren, and two great great grandchildren, a special friend: Larry May, as well as a very large of host of other family and friends. To send flowers or a remembrance gift to the family of Russell "Chub" Chapman, please visit our Tribute Store. "Email Address" would like to share the life celebration of Russell "Chub" Chapman. Click on the "link" to go to share a favorite memory or leave a condolence message for the family.